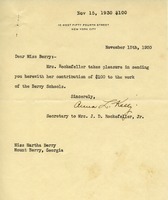 Contribution letter from the secretary to Mrs. J.D. Rockefeller, Jr.
Anna Kelly, secretary to Mrs. J.D. 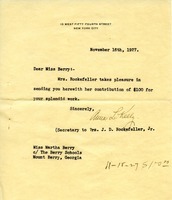 Rockefeller, Jr., sends Mrs. Rockefeller's contribution of $100.